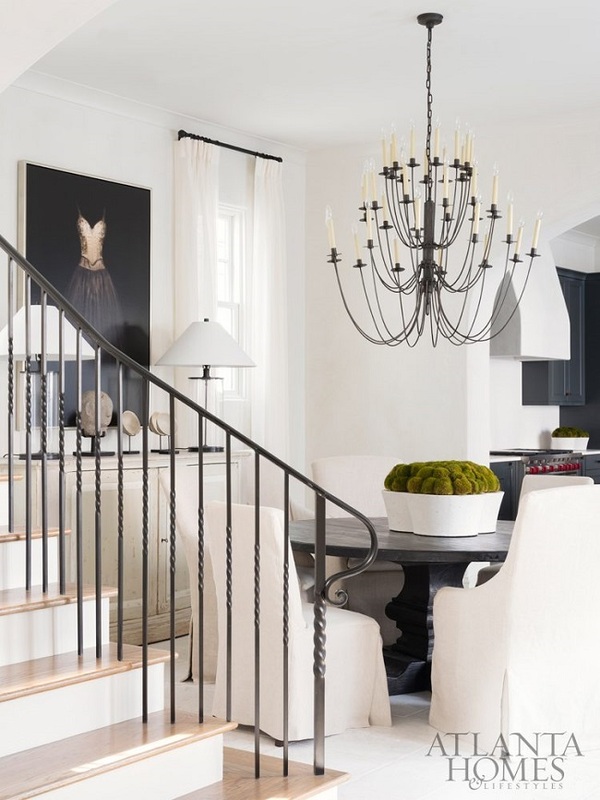 Mix and Chic: Inside an airy and sophisticated beach house! 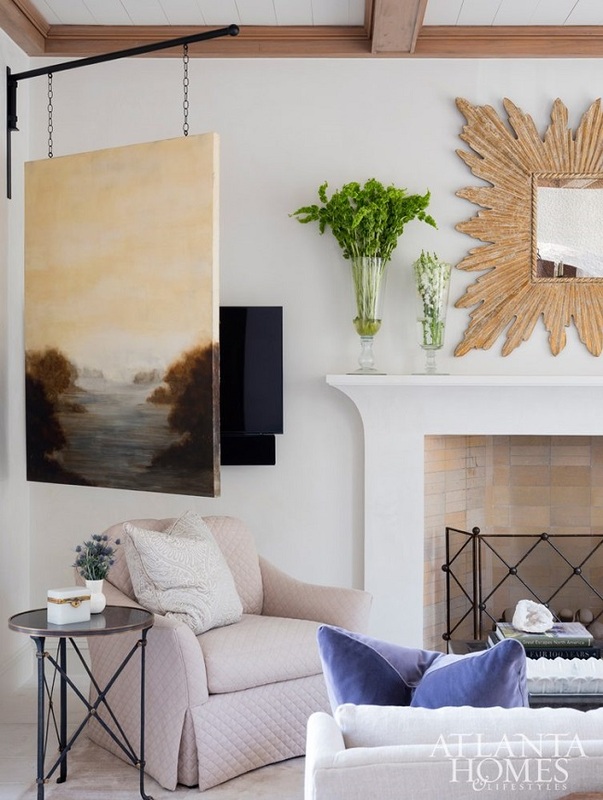 This beautiful Rosemary Beach retreat is a design collaboration between architect Lew Oliver, builder Stan Benecki and designer Melanie Turner. 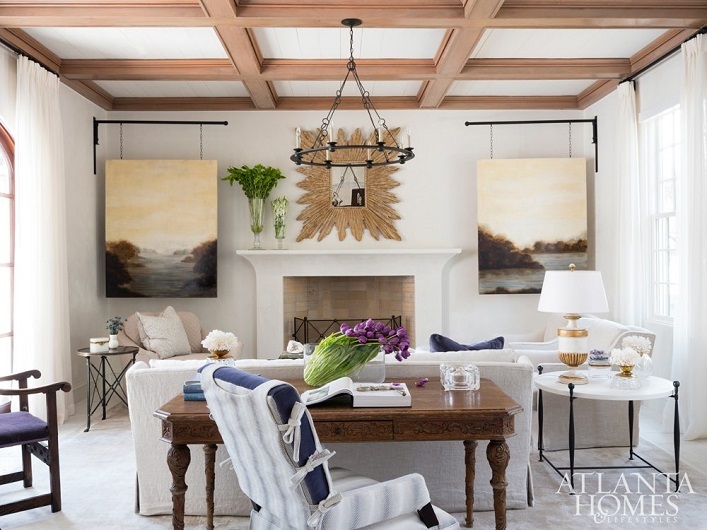 Since it's the primary residence, Turner decided to create a relaxed yet sophisticated abode with the ease of a beach house with all the comforts of a full-time home for her clients. Let's see how she did it, shall we? 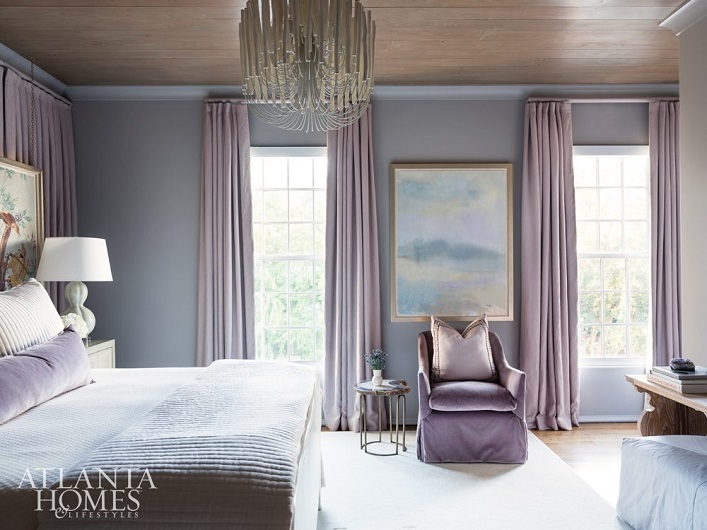 Thanks to the designer's thoughtful selection of large scale pieces and high end furnishings, this home feels lavishly layered yet still exudes that light and airy feel. Natural elements are used throughout the home for warmth. 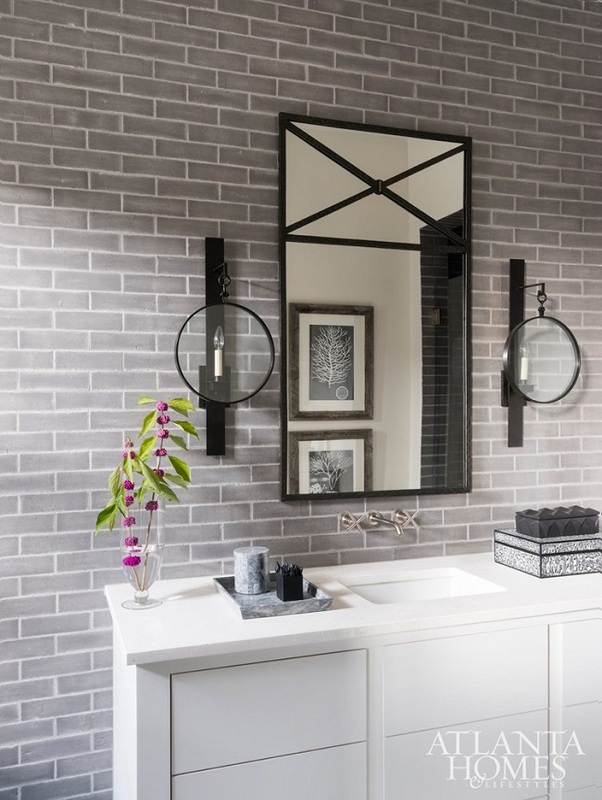 Mixed metals, materials and textures are injected for style and visual interest. 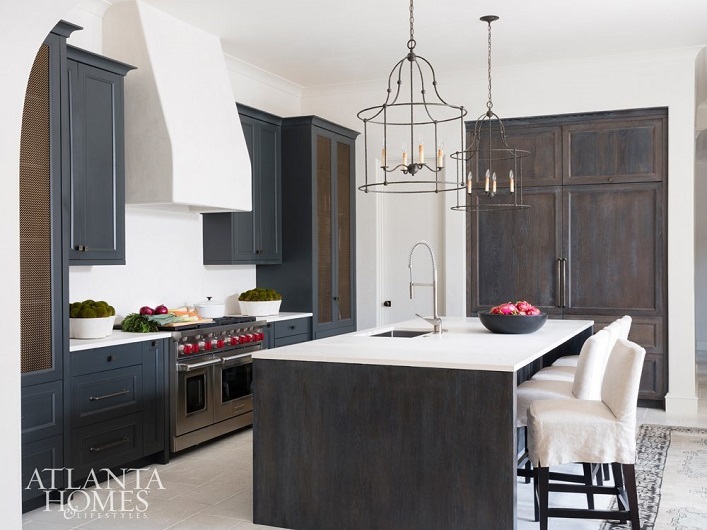 I am especially drawn to the sparse dining room and minimalist kitchen, how about you, my lovelies? Are you a fan of this stunning retreat as well? What are your thoughts? Beautiful! Love the tv behind the painting!